"Quite frankly, this is a chocolate chip cookie that will change your life." A claim by the author at Ambitious Kitchen from which the recipe of these scrumptious cookies was adapted. 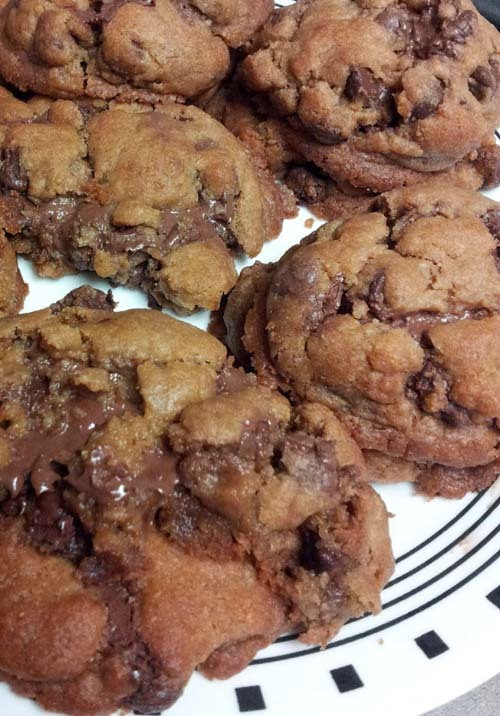 She's right, these Nutella chocolate chip cookie are fantastic even though not all of the instructions were followed. The instructions were followed to make these cookies except for the addition of sea salt. None were available at the time. There's always the simpler double chocolate chip cookies for those interested.